Smart speakers are becoming all-in-one home devices. 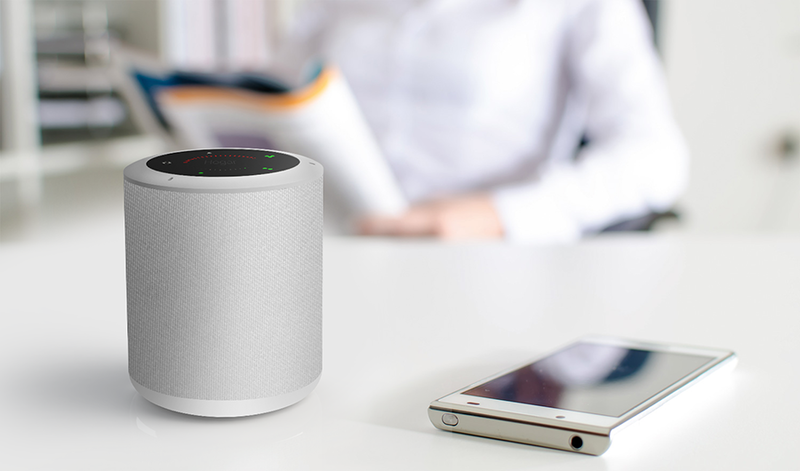 Hogar Controls has unveiled the Google Assistant-powered Milo Smart Home Speaker with a built-in home hub that supports the Z-Wave Plus and Zigbee home automation standards. The versatile device can get you the news and weather from Google's AI, stream music across Bluetooth and WiFi, and control your blinds, lights, locks, thermostats and other devices via the hub. Other features include a touch controller, a three-microphone array that allows voice recognition even when you're not close to it, a speaker with a 2-inch driver plus dual two-inch passive radiators for "clear highs and deep bass," and an aluminum and fabric design, in light gray or black. Hogar said the Milo is the first-ever smart speaker with Z-Wave Plus, but Toshiba recently released its own Alexa-powered smart speaker/hub combo, the Symbio, with that feature (the Symbio also includes a camera). Nevertheless, the products highlight a bit of a trend at CES this year to put home hub features in smart speakers, since they're often sitting in a central spot in your house. That only works, however, if they do all their tasks well, and that's often not the case with all-in-ones. Both the Milo and Symbio are voice-controlled, for instance, but you'll also need to use an included app to power many of the smart home functions. Considering that such devices are generally marketed as being simple to use, the home automation functions might be too complex for the average buyer. Google recently unveiled a "sync" setting for its own Home-powered devices that might make things a bit easier, however. For a user comfortable with Zigbee or Z-Wave Plus, the Hogar Milo Smart Speaker has a lot of functionality for the $149 price -- a hundred bucks less than the Toshiba model.